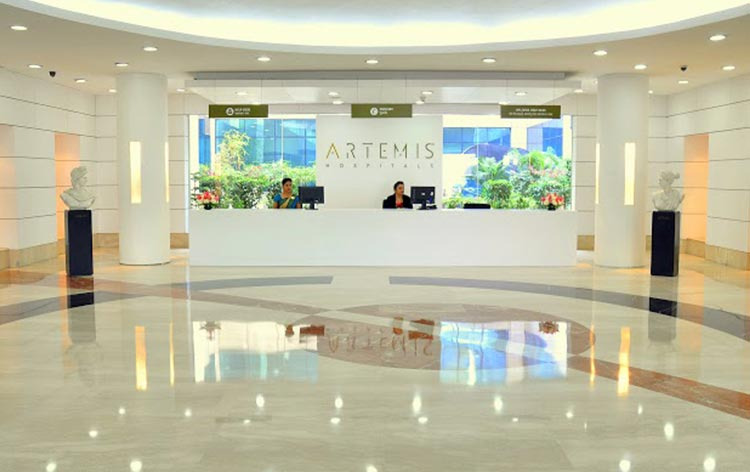 Artemis is a world-class tertiary care multi-specialty hospital established in 2007. Artemis hospital, accredited with JCI and NABH certificates, is a 400+ bedded hospital, designed and constructed in strict accordance with International guidelines. More than 400 full-time doctors, 11 centers of excellence, 40 specialties. Pioneer in health-care services, offering advanced medical & surgical procedures with a wide-ranging inpatient and outpatient services. Endowed with state of the art facilities, updated technologies, and advanced equipment for predictive, diagnostic and therapeutic imaging. Focused on delivering an excellent standard of medical care to all patients under the supervision of its team of exceptionally trained and experienced doctors along with the substantially skilled support staff. M6 Cyberknife Radiosurgery technology under the Artemis Radiation Oncology and Cyberknife Centre. 3 Tesla MRI, high-end Color Doppler Ultrasound Systems, Mammography for imaging. Advanced equipment in Cardiology department and for cardiovascular surgery - Philips FD20/10 Cath Lab with Stent Boost Technology, Endovascular Hybrid Operating System, 64 Slice Cardiac CT Scan, Total Arterial Revascularization (TAR), Valve Restoration Surgery (Repairs). Possess many more high-end technologies such as Image Guided Radiation Therapy (IGRT), HDR Brachytherapy from nucletron under radiation therapy for cancer treatment. Top-class facility for research lab set-up and ICU. Modular Operation Theatre equipped with high-grade instruments. Artemis Hospital houses the first and only M6 Cyberknife Radiosurgery technology in North India. A technology tie-up with Philips Medical Systems allows Artemis early and exclusive access to the latest global imaging and monitoring equipment. The real-time Image Guided Radiation Therapy (IGRT) being one of its kinds in North India allows for radiation to be delivered exactly where required, with minimal impact on healthy cells. An Endovascular Suite equipped with the latest in 3D rotational imaging to perform neuro-interventional, cardiac catheterization or peripheral endovascular procedures with precision. An in-house bio-repository and a 24-hour blood bank with the facility to conduct Individual Donor NAT (Nucleic Acid Amplification Test). One of the very few operational Paediatric ICU and Neonatal ICU in North India. Artemis is one of the most preferred hospitals in India for international patients. The International Patients Department at Artemis Hospital aims at providing impeccable service and assistance to overseas patients. Patients are assisted by the International Patient coordinator who operates as a single point of contact before, during and after the patient’s visit. Also, the hospital has a Medical Interpreter Service for international patients. All the translators provide accurate and complete information regarding the treatment details. Language supported: Arabic, Chinese, French, Italian, Japanese, Pashto, Portuguese, Russian and Spanish, and many others. Nearest Airport: Indra Gandhi International Airport which is around 19.4 Km away from Artemis Hospital and it takes about 30 min to reach the hospital. Nearest Railway Station: New Delhi Railway Station which is around 33.6 Km away from Artemis Hospital and it takes about 1 hr 20min to reach the hospital. Nearest Metro Station: HUDA City Center which is around 4.2 Km away from Artemis Hospital and it takes about 10 min to reach the hospital. Artemis Hospital performs 398 different procedures. Click on a procedure name to see more details and to view doctors for that specialty. 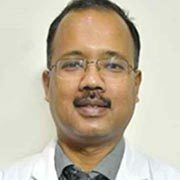 Dr.Biswajyoti Hazarika has been in the specialized field of Head & Neck surgery for the last 16 years. His area of expertise includes surgery for tumors/ cancer of the head and neck region (which comprises the oral cavity, the nose and the para-nasal sinuses, the larynx, the pharynx, the salivary glands, thyroid and the parathyroid glands. Dr Hazarika is well versed with the plastic reconstruction of the resected part as well as endoscopic and minimal access surgery in Head & Neck. Robotic Head & Neck Surgery is the latest addition to his armamentarium.  Dr. Durgatosh Pandey is a well known and recognized OncoSurgeon of India. 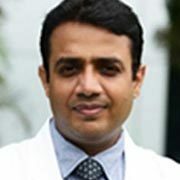 After completing his Graduation from Maulana Azad Medical College and Post Graduation in MS Surgery from Delhi University, he pursued M.Ch (Surgical Oncology) from Dr MGR Medical University, Tamil Nadu. 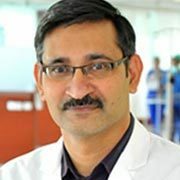 He possesses a wealth of knowledge and surgical expertise (gastrointestinal and thoracic cancer surgeries) which he has accumulated in a career spanning of more than 12 years. 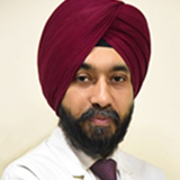 Dr. Gaurav Kharya is a Senior Consultant & Head Pediatric Hemato-oncology Immunology & Bone Marrow Transplant at Artemis Hospitals, Gurgaon (Delhi-NCR). He completed his graduation from Netaji Subash Chandra Bose Medical College, Jabalpur Madhya Pradesh. Following this he did his post-graduation DCH in Pediatric from Baba Raghav Das Medical College, Gorakhpur, UP. In year 2005 he joined his DNB in pediatric at Sir Ganga Ram Hospital, Delhi and completed his training in 2007. After completing his DNB pediatrics he started working as a registrar in pediatrics at Chacha Nehru Bal Chikitsalya, Delhi. The customer service was a bit disappointing , for example the nurses desk was over busy and no one was following a proper queue system. The biggest issue I faced was the fact that the machine needed for my procedure was not available even though I was given an appointment for the procedure. Lastly, the pharmacy was not 24 hours and was closed at 9pm. Luckily Lyfboat representative took me to another pharmacy to buy the medicines which I needed right after my procedure and they also helped push the hospital to arrange the machine for the procedure to be completed on the same day as scheduled. 4 average based on 52 reviews.